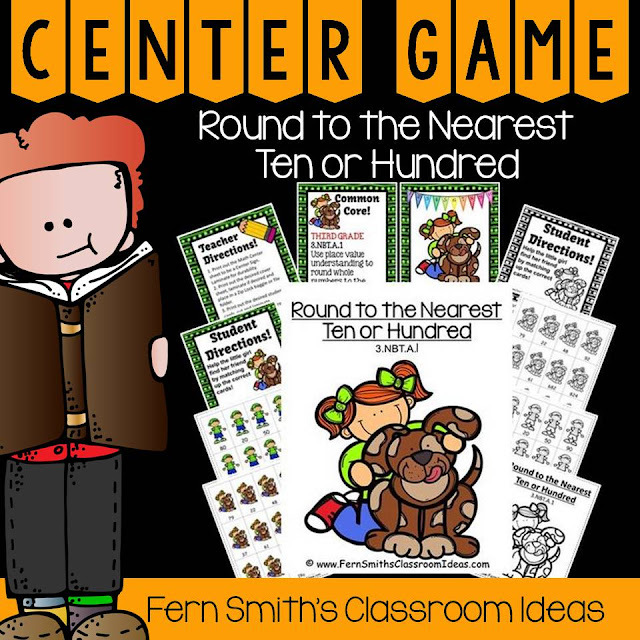 Rounding to the Nearest Ten or Hundred Center Game - Fern Smith's Classroom Ideas! Use this game for matching, Go Fish, concentration, Around the World, the possibilities are endless. Once your children quickly master the directions, their time is better spend mastering the skill taught. Also includes a black and white version, perfect for a Make and Take workshop with parents! Prefer a bundle? All three resources together for you. 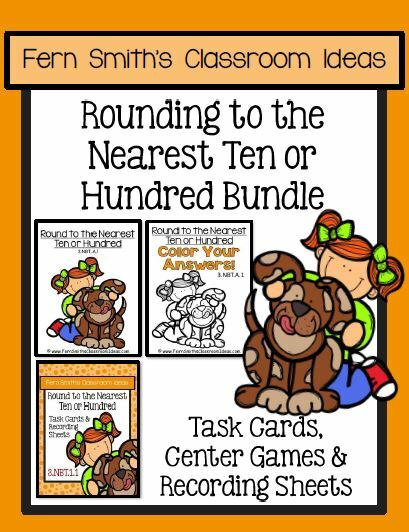 Click here for more resources and free printables to help teach the concept of rounding to the nearest ten or hundred. 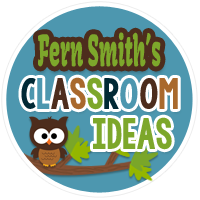 Do Your Students Love to Talk About Animals? Today's New Dollar Deals For You! Are You Reviewing Long Vowels This Week? Are You Working on Numbers with Your Students? All Sorts of St. Patrick's Day Fun!